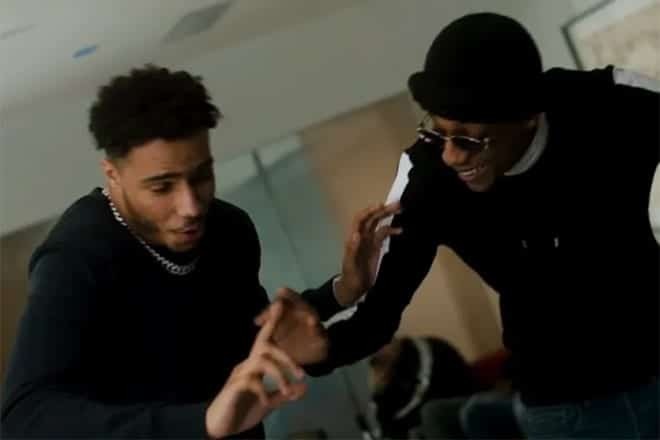 Steel Banglez AJ Tracey MoStack – ‘Fashion Week’ has enjoyed an impressive debut at #7, giving everyone involved their first top-10 single. Dave’s collaboration with Burna Boy on ‘Location’ has crept up two spots up to #6, while his debut album, Psychodrama, spends a third week inside the top 10. After originally debuting at #1 and then spending a week at #2, Psychodrama now sits at #7 in the album chart’s, with three singles inside the top 20, as ‘Disaster (ft. J Hus)’ and ‘Streatham’ occupy the #15 and #22 spots respectively. NSG and Tion Wayne’s hit ‘Options’ shows no signs of slowing down, reappearing in the top 10 for a fourth week, with Wiley, Stefflon Don and Sean Paul’s link up on ‘Boasty’ a place below at #11. ‘Keisha & Becky’ debuts at #19, giving Russ his second top 10 and Tion a top 10 and top 20 simultaneously. AJ Tracey’s self-titled debut album is into its seventh week inside the top 30 after peaking at #3, up to two spots to #23. D Block Europe’s Home Alone project has also spent a good few weeks inside the top 40, with the mixtape up to #30 and ‘Kitchen Kings’ at #33. RV and Headie One’s second join mixtape, Drillers x Trappers II debuts at #21 in the album charts, with ‘Match Day’ at #86 over in the single charts. ‘How It Is’ by Roddy Ricch, Chip and Yxng Bane occupies the final top 40 spot, ‘Bally’ is at #45, and ‘Bet’ by Octavian, Skepta and Michael Phantom is at #49, rounding off the top 50. The following tracks complete the top 100: Giggs – ‘Baby’ at #55, Cadet x Deno – ‘Advice’ at #66, AJ Tracey – ‘Ladbrooke Grove’ at #71, Deno – ‘Lifestyle’ at #82, Hardy Caprio – ‘Sponsored’ at #89 and Slim’s debut mixtape Still Working at #94. Here’s a breakdown of some of the most streamed tracks in the United Kingdom on Spotify for the week ending March 28: ‘Fashion Week’ – 2m (#7), ‘Location’ – 1.9m (#9), ‘Options’ – 1.7m (#12) and ‘Disaster’ – 1.5m (#16) are all among the top 20 most-streamed tracks. ‘Streatham’ – 1.2m (#26), ‘Advice’ – 1m (#34), ‘Funky Friday’ – 843k (#46), ‘Black’ – 762k (#50), ‘Screwface Capital’ – 625k (#66), ‘Psycho’ – 593k (#70), ‘Butterflies’ – 545k (#84) and ‘Bally’ – 540k (#87) round off the top 100.